If your company is suffering from a diminishing cash flow and cannot keep up with regular monthly bills, there are better solutions. Debt consolidation, also known as loan consolidation, is the process in which one loan is obtained to pay off many debts. Debt consolidation is usually employed to secure a smaller or fixed interest rate across multiple company debt obligations. In this scenario, a business still pays all the principle owed on current debts in addition to interest on the loan taken out. The only savings realized with debt consolidation is the money saved on the lower or fixed interest rate. There are circumstances when debt consolidation makes sense. For example, if a company currently has a reliable cash flow and a good financial position, but they have multiple loans with varying interest rates, then consolidating those loans to obtain one lower interest rate would be beneficial. However, if your company is suffering from a diminishing cash flow and cannot keep up with regular monthly bills, there are better solutions such as commercial debt reduction. If your company is running further behind on monthly bills and creditor calls and demand letters are increasing, you need help reducing the actual principle on the debt you owe (commercial debt reduction) not just a lower interest rate (debt consolidation). Fuselier and Associates Financial are certified debt settlement specialists. Once you enlist our services, Fuselier will immediately take over all harassing creditor calls. We will proactively contact your creditors to let them know we are involved and that our purpose is to bring a fair resolution to the delinquent debt in question. Fuselier will work 1-on-1 with you to figure out the exact financial position of your company and will then build a case for your company on why a reduced negotiated settlement is necessary. Fuselier will customize the negotiation process to accommodate your company’s specific financial needs. Our specialized negotiation process allows us to deal with your creditors so you can get back to focusing on your company’s fundamentals and core competencies. 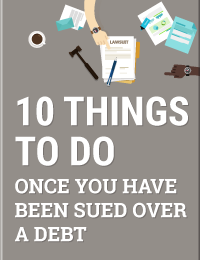 Visit our Resources page for more information on how to deal with your debts and how Fuselier and Associates Financial can help. You can also Contact Us directly.